They're here to save the world. Whether they like it or not. With hysterical cameos by Kevin Smith, Pauly Shore, Florence Henderson, Peter Tork, and Michael Dukakis. 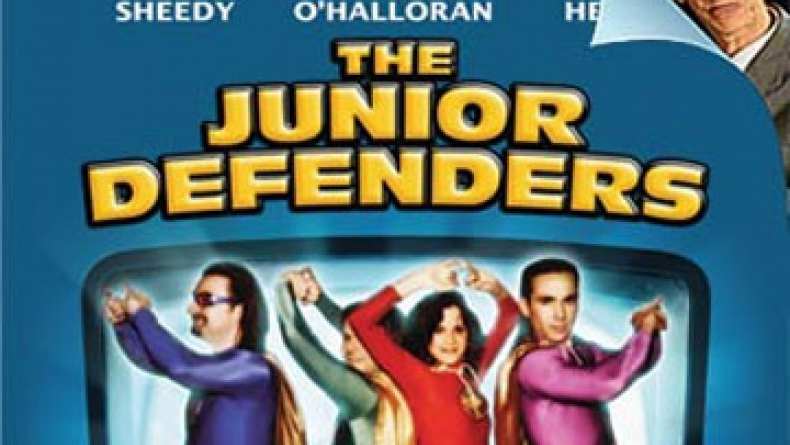 In the vein of Galaxy Quest, The Junior Defenders is a hysterical take on ‘70s television. Twenty-five years after The Junior Defenders' cancellation, a crazed fan decides that he needs some closure, kidnapping the four former child stars who made up the ensemble. This fan will stop at nothing to make one more show ... even if it includes holding the cast at gunpoint on a soundstage! The Junior Defenders is a film for the crazed fan within us all.